Here are some things you can do to help protect yourself from becoming addicted to online and land based casino gambling. Set a Time Limit: Not only should set a time to leave the casino or log off the online casino, you have to make sure that at that time regardless if you are winning or loosing you will get up and leave the casino for the rest of the day. To make sure you do not forget about your time limit set the alarm on your watch and cell phone to remind you that it is time to leave the casino. 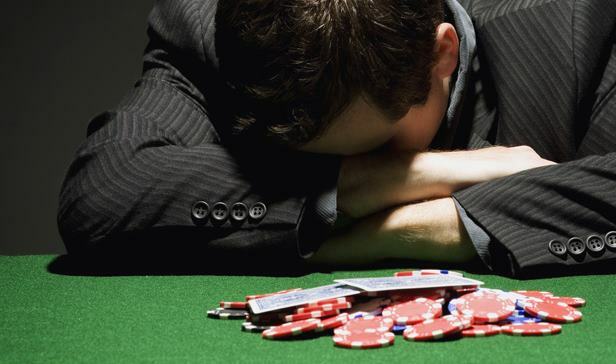 Set a Loss Limit: Before entering the casino decide on an amount for example $200. When you hit that limit, log off the computer and go do something else until next time. This will prevent you from spending all your money. Many people will try to win back their losses by doubling their bets each time they lose. All this does is give more of your money to the casinos. Do not gamble alone: Make sure to go to the casinos or play online when someone else is around so they can check on you and so you can check on them. Sometimes it takes a word from a friend to help us realize we are starting to obsess over something. By following these three simple rules you will find yourself having more fun when gambling and you will be less likely to become obsessive and addicted to online casino gambling.